The new developed process enables the tolerance-free, non-abrasive cutting of aluminosilicate glasses after the chemical hardening process of substrates by short pulsed picosecond lasers. Basis is the Gorilla® glass from Corning. The generated glass cut edge is extremely precise and clean. The process is ideal for sample numbers and volume projects due to low initial costs and very short lead times. 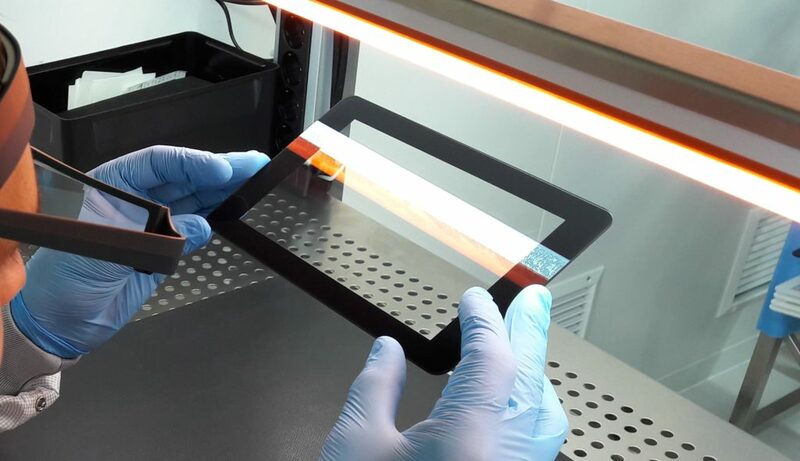 Due to the tolerance-free cut, the glass is especially suitable for the integration in plastic injection molded housings or milled aluminium frames.